Armed with rakes, brooms, and garbage bags, GU staff and neighbors prepare to go to work. 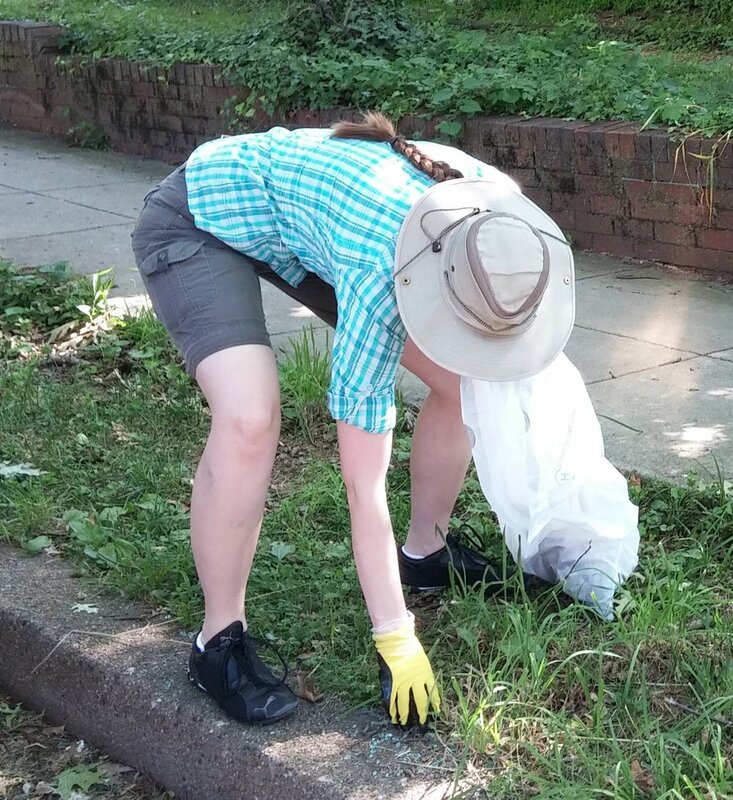 We had beautiful weather for the June 10 clean-up. A dozen volunteers pitched in and collected many bags of trash and a lot of bulk waste. 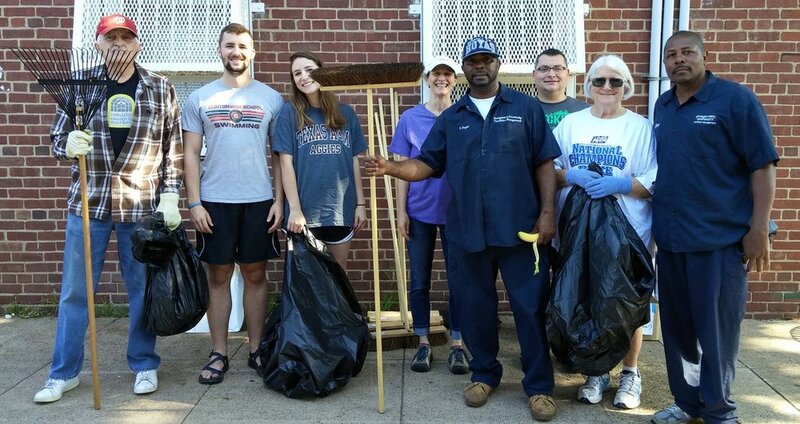 Georgetown University's Facilities Department and Office of Neighborhood Life provided trash trucks and staff time. Thanks again to everyone, and I hope to see even more neighbors on Saturday, November 4, for Burleith's fall clean-up. Cory Peterson (far left), director of GU's Office of Neighborhood life, and ONL program director Cat Finnegan (2nd from right) are joined by cory's son and an out-of-town volunteer.